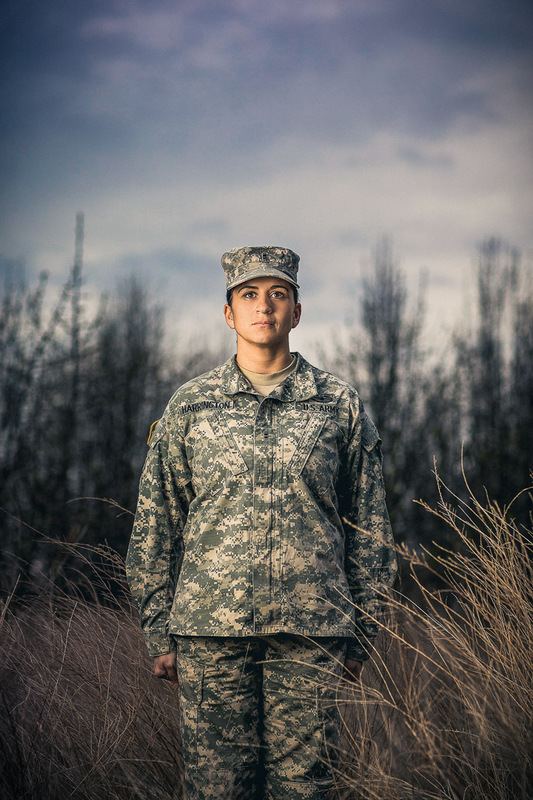 A few weeks ago I was contacted by GX (Guard Experience) Magazine to make a portrait of a female officer in the National Guard. 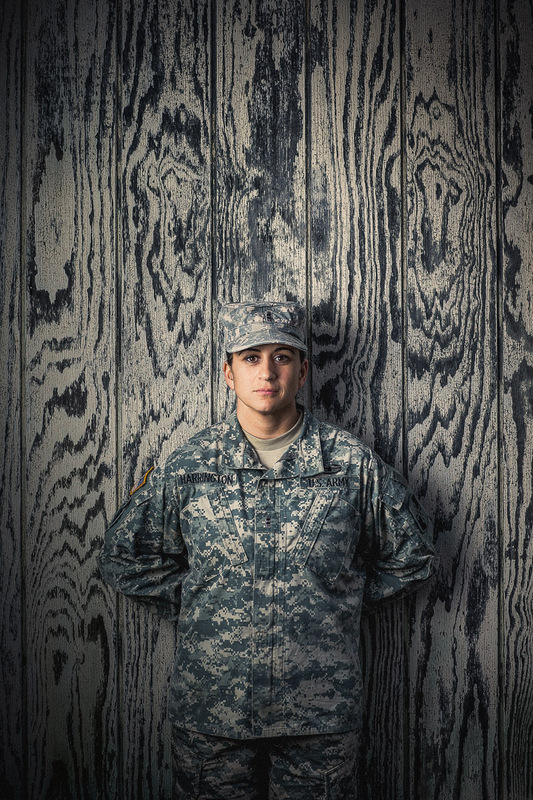 Basically my assignment was to make a cool portrait in front of a background that helped convey the officer’s story. Seemed simple enough. 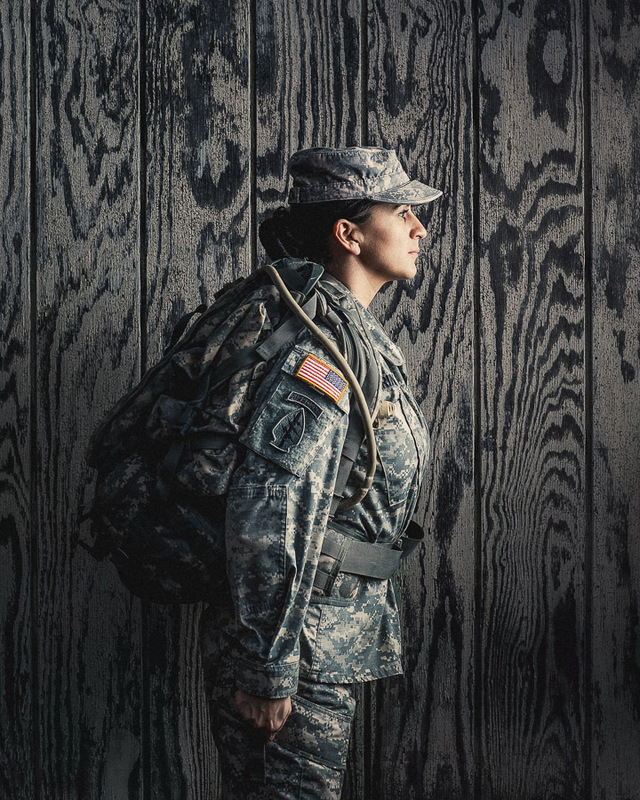 After speaking with my subject, CW2 Harringon, I learned about her amazing story as the sole female member of a Special Forces unit in Afghanistan. This type of scenario is extremely rare, however she was a welcomed and respected member of the unit because of her skill set. In Afghanistan, Afghan women are not allowed to speak to the males. 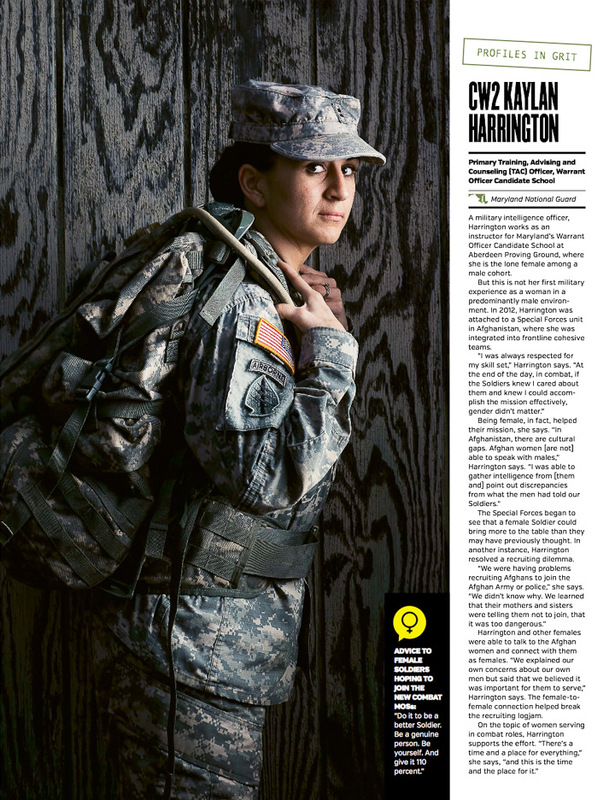 CW2 Harrington was able to communicate directly with females on both sides of the fight, to either help convince the wives of potential allies to join the Afghan Army or to retrieve sensitive information from the wives of the opposition leaders. CW2 Harrington was stationed at Fort Meade, MD so after hearing her story I began to scratch my head a bit, trying to think how I could convey her incredible story through this location. Needless to say Fort Meade doesn’t necessarily resemble the mountains of Afghanistan. Realizing that the power of the images were going to come from my subject and not a literal background, I made the decision to just find a simple background and let my subject shine through. After trying a few other more “military-themed” options and realizing I was trying a little to hard, I came upon some barracks with a simple, yet interesting looking wooden paneling on the outside. The wood was tinted green and was an almost identical match for CW2 Harrington’s uniform. I had her stand right up against the wall, set up my light and let her do the rest. The textures blew me away, but what makes the images so strong is CW2 Harrington’s spirit piercing through in each photo. In addition to the tear sheet with the image that ran in the magazine here are a few more of my favorite images.